Highly Commended in the Psychiatry category at the 2010 BMA Medical Books Awards! This book serves as a manual for clinicians working with people with alcohol problems. 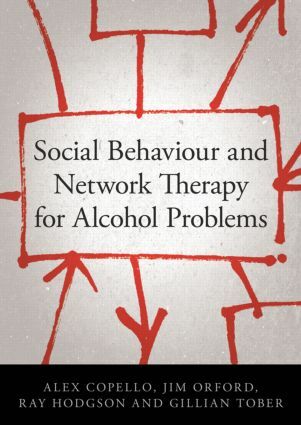 The manual is based on previous research in addiction treatment, including family and social network interventions, as well the authors' own work developing and evaluating Social Behaviour and Network Therapy (SBNT) for example in the United Kingdom Alcohol Treatment Trial (UKATT). Containing a range of ideas the book is guided by a key principle: the development of social support for a positive change in drinking behaviour. common questions asked about the intervention. Featuring a series of practical handouts, this book will be essential reading for clinicians, counsellors, nurses, psychologists and all those involved in the treatment of alcohol misuse and dependence.